Toby, an academic wisecracking high school senior and his best friend Luke--a dedicated star wrestler are an unlikely pair. The two survived their abusive and impoverished home lives together and with Luke’s college wrestling scholarship locked down, they were prepared to head into the next chapter of their lives together. But now Luke is on death row. 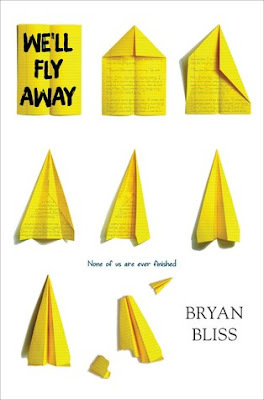 Told partially in Luke’s letters from death row and partially in a close omniscient third person, Bliss crafts a story of friendship, coming-of-age and poverty that manages to deliver a gut punch at the end--even though you know where Luke is going to end up from page one. I really liked the way this book is set up with Luke’s letters opening the book and then having it slowly build to the precipitating event. It reminded me of Big Little Lies and it adds so much tension to every scene because you keep thinking is this it? Is this the thing he did? 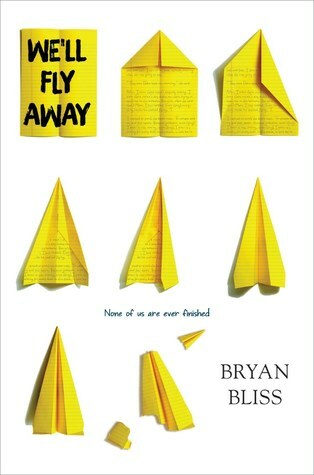 With that in mind though the book moves at a slower pace. I picked up this book because James Fouhey did the audio, I’ve enjoyed his narration in other things and his performance in this book is one of the best I’ve heard. He takes on each character perfectly with a nuanced and intentional performance. I think he could have easily done stereotypical Southern accents but he avoids that completely while still making the characters sound authentic. Needless to say Fouhey has remained on my auto-buy audiobook narrator list. Between this and Jeff Zetner books I’m really starting to think any YA book by a straight white dude will be sad AF. Vox takes place in the near, near, near future where the government has limited women to 100 spoken words a day in an effort to Make America Great Again reinforce traditional gender roles. Dr. Jean McClellan is a cognitive linguist who has never quite adjusted to the new rules of society and brings the entire system down--which by the way isn’t a spoiler. It’s literally the first line of the book. 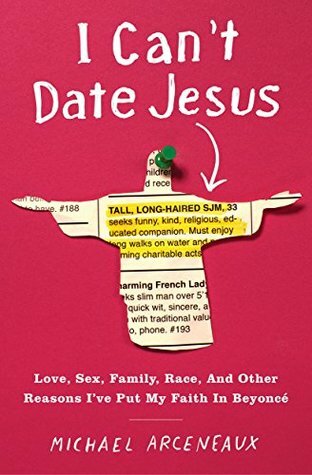 I added this book to my to-reads shelf the minute I heard about it on the What Should I Read Next podcast and was so excited to get into it...but this book really disappointed me. I think it’s because I went into this book thinking it was supposed to be this feminist dystopia but when you read Dalcher’s interviews you find out she’s a linguist who just wanted to write a book about her passion. Despite being marketed as the book of the #MeToo movement that’s not what this book is--it’s really more of a workplace thriller. The feminist dystopic themes are the weakest elements of the novel and lack the nuance and detail that makes a world feel believable. There is also a huge white feminism problem. 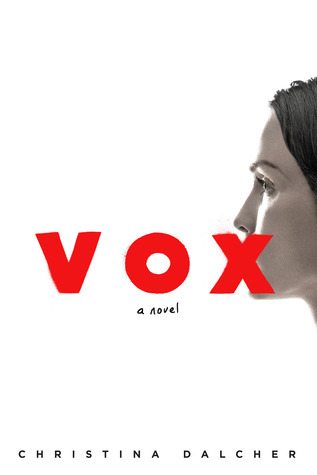 Vox acknowledges the existence and problems of white feminism but then is a book centered on the ideas of white feminism. All the women of color are silenced in one way or the other to further Jean's story. As for the thriller aspect...I just didn’t get it. I didn’t understand the Big Bad’s plan and I was kind of miffed that technically a straight white dude saves the day. On the plus side, I did this on audio and it re-introduced me to Julia Whelan as a narrator. I’ve always known of her and Jess has reviewed a few of her books, but I hadn’t really listened to much of her. Whelan is such a solid narrator for this book, particularly for her range of male voices. She made this a good listen, even if I could never fully invest in the story. When it comes to discovering great audiobooks it always helps to turn to the experts! 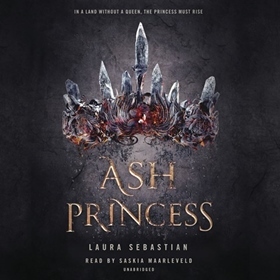 We are super excited to welcome AudioFile Magazine blogger, Aurelia C. Scott, to share some inspiring young adult audiobooks to add to your TBR pile! Finding one’s own true way is full of challenge and reward. Here are our picks of five great new audiobooks about making your own rules and being yourself no matter what. Some edgy, some sweet, some joyful, some weepers. All awesome. The hyper-linked titles reveal AudioFile’s full review and a soundclip. 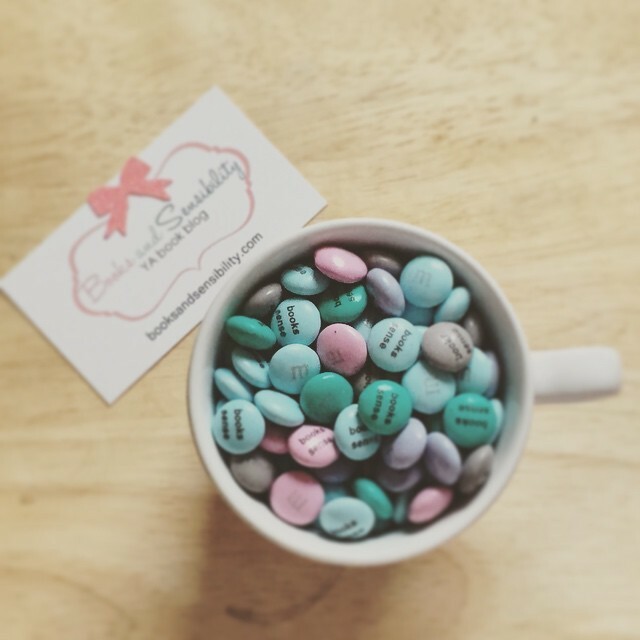 Here’s to having an audiobook in your ear - Aurelia C. Scott, AudioFile Magazine blogger. 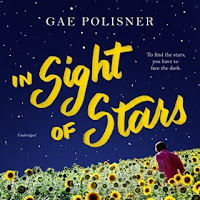 When teenage Klee wakes up in a mental health facility, it’s the start of a painful, heartening, occasionally funny effort to get back to normal, whatever that is. Crouch provides vivid portrayals of Klee, his therapist, his mother, and Klee’s internal voice in this powerful listen. Imagine being Romy, the teenage daughter of scientists and the only person left alive on a spaceship headed out to colonize Earth2. After getting used to talking only with computers, she’s fast-shipped another human – a teenage boy. 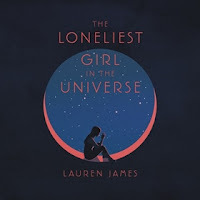 Lauren Ezzo’s portrayal of Romy in all her moods, from terrified to thrilled, is entrancing, hooking listeners all the way to the astonishing ending. 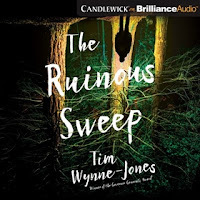 In an unusual feat for an author, Tim Wynne-Jones offers a wonderful performance of his involving detective novel about Bee, who the only person who believes that her boyfriend did not murder his father and try to commit suicide. But what did happen? 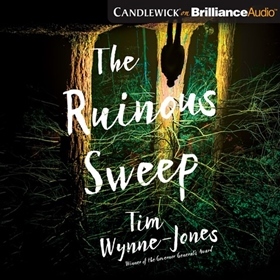 Using every inflection from tough to frantic to gentle, Wynne-Jones gradually unravels the gripping mystery. FRESH INK edited by Lamar Giles | Read by Guy Lockard, Kim Mae Guest, Bahni Turpin, Dion Graham, Ron Butler et al. 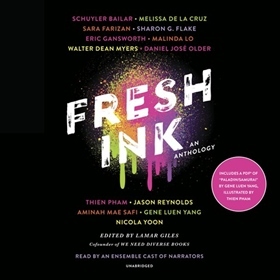 Stars of the narrating world meet stars of the YA writing world in this spot-on anthology focused on race, sexuality, and urban living. Some of the tales are comic, some heart-rending, all them of them get it. Plus, they’re perfectly voiced. It’s a win. 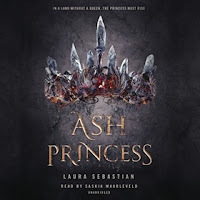 Book 1 in what promises to be a trilogy will only make you want more of this epic fantasy about Princess Theo’s determination to win back the kingdom of her murdered mother. As Maarleveld’s riveting narration makes clear, Theo’s status as a prisoner is no way going to defeat her. This memoir caught my eye because well . . . how can you bypass a book with a subtitle like that? I wasn’t familiar with Arceneaux before, but he is a prolific pop culture writer who often writes about the intersection of being Black and gay. I've been kind of meh on memoirs by millennials lately*, particularly the ones around identity, because they feel like they are written specifically for the gaze of White liberal progressives. But Arceneaux’s stories are messier and have a personal authenticity that I enjoyed. My favorite essays were the ones he wrote about his relationship to Catholicism and the importance of R&B music in his life. At first, it seemed like Beyoncé's name was put in the title just to get clicks but once you get to his essay about Beyoncé it fell into place. Arceneaux reads the audiobook, and it didn’t 100% work for me. While it was great to hear his particular southern accent, his affect was flat and stilted at times. I also just admire Arceneaux’s hustle to become the media personality he’s become. While he doesn’t address it directly, there is an ongoing thread in the background of his essays about the years of hard work he put into building his career. Arceneaux offers something new to the gay/pop culture essayist genre and I’m sure there will be many more books from him in the future. 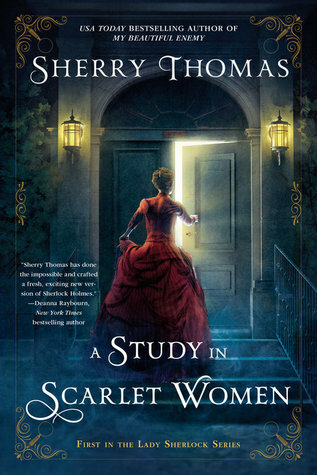 In this reimagining of Arthur Conan Doyle’s famous detective Sherlock Holmes is the pseudonym of Charlotte Holmes, an overly practical and hyper-observant member of the gentry who doesn’t quite fit into society's standards. She spends her time solving everyday mysteries via letters, but when scandal strikes and Charlotte’s life is turned upside down, she finds herself solving her biggest mystery yet--a murder. This is a fun origin story and functions as a kickoff for the rest of the series. All of your favorite Sherlockian characters are present but are introduced in new and interesting ways that I don’t want to spoil. Thomas gets into the nitty-gritty of the kinds of hoops a Victorian woman would have to go through to get to do any kind of detective work. There is definitely a feminist thread throughout the series, particularly when you look at how the circumstances of the main mystery are changed from the original story. This is my first foray into the mystery genre and hopefully not my last. Can we talk about how Sherry Thomas is slaying everything? She writes award-winning historical romances, YA fantasy and mystery all in English--which is her second language! There are lot of romance authors who write more than romance, but she seems to be the only one to have a name for herself in so many genres.